Further to our details on GDPR and RiderHQ, some organisers are sending out 'please opt in to continue receiving our newsletter' - type messages. "You do not need to automatically refresh all existing consents in preparation for the new law. But the GDPR sets the bar high for consent, so it’s important to check your processes and records to be sure existing consents meet the GDPR standard. If they do there is no need to obtain fresh consent. Where you have an existing relationship with customers who have purchased goods or services from you it may not be necessary to obtain fresh consent." 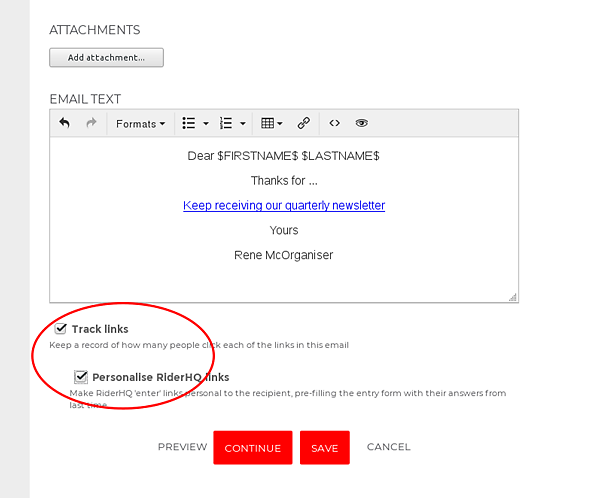 You can either send this out via your own email method (such as MailChimp etc. ), or via a RiderHQ email. 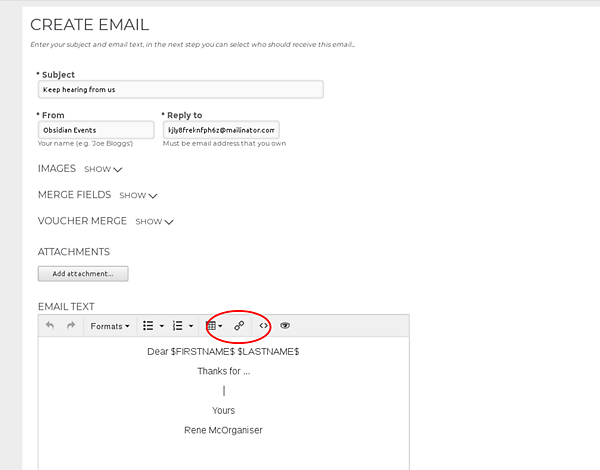 If you send it via RiderHQ you can 'personallise' the link so that the recipient can just click once on the link to 'opt in' without needing to create an account or log in (assuming they already have a RiderHQ account, which they will do if they have entered one of your events or joined your group). 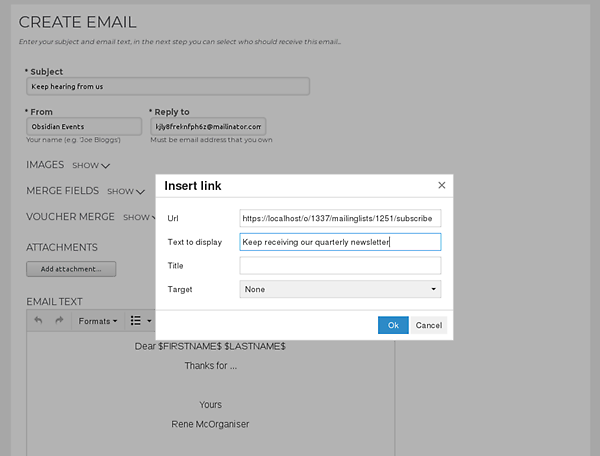 Finally, click 'continue' to add some recipients and then send the email.